Are you considering changing your old single windows or double glazing in order to keep warm and reduce bills together? With Quotatis you'll be able to compare approximately 4 firms for the best deal in Bradford. Upvc double glazing is among the most widely used insulation techniques householders can take advantage of. The simple framework is two panes of glass separated by an efficient gas spacer. This spacer, commonly Argon, Xenon or Krypton, is still so heat can't pass through and escape the property. As a result, heat is instead held on to in your house, keeping you warmer throughout the year. In the same manner, through the hotter summer time months heat is kept out of your home, making certain you're cooler. Therefore, you're in a position to cut down heating bills by up to £200 every year. The environment advantages are also rewarding. Because there's little need to turn up the boiler heat, fewer carbon dioxide emissions are created and emitted into the atmosphere. To begin benefitting from efficient windows and reduce your heating bills every year, complete our online form and review prices from up to 4 reputable double glazing companies. Having a population of 500,000, Bradford is a leading city in West Yorkshire, most known regarding housing Bradford City FC, the first football team to claim the modern day FA Cup honours. The wide range of property in Bradford is often in need of modernising and professionals on our books will offer competitive quotations. Installers of upvc double glazing (A graded windows, secondary replacement windows, replacement unit windows) in Bradford. They'll present you with quotes in Bradford for the installing of double glazed units. Quotatis are committed to obtaining you the best prices in Bradford by contrasting in excess of one hundred businesses. Great customer service, professional salesman. Only complaint is they turned up late but otherwise happy with them and will be proceeding with their quote. Pushy sales technique used, felt intimidated by the home experience. Saved time on finding local tradesmen. We noted 5,313 requests for property double glazing quotations in Bradford. Of these quotation requests the number of double glazing quotes in Bradford was 140. Quotatis would have been able to match these customers with up to four suitable installers who were available for work in Bradford at that time. Request a free home survey from reputable companies in Bradford. The pie chart underneath shows the UK's population based upon regions. Britain's overall population surpasses 62 million, with the greatest portion of occupants based in the South East, Greater London and North West regions. The table underneath the pie chart shows the UK's populace in regions as a figure. As you can see, both the South East and Greater London possess over eight million occupants, whilst Northern Ireland and the North East have the fewest inhabitants. The chart just below displays the total number of photovoltaic installations in Bradford. Solar energy panels have grown in popularity mainly due to the Government's rewarding feed-in tariff incentive, which pays out for each and every unit of renewable electricity created. Join these householders and begin generating your own electricity today. The information underneath displays the typical property price in Bradford. On the whole, home prices have increased in value significantly over the past decade. Nevertheless, in recent times prices appear to have stagnated and it's necessary to improve your home to add value. The info below shows the house market for the last 7 years and precisely how many homes have sold in Bradford. Because of the large costs associated with moving home, many people are now deciding to stay put rather than relocate. 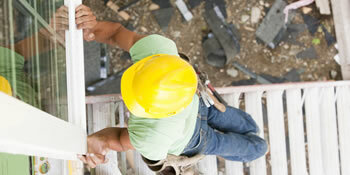 Home improvements have become far more popular as people look to improve their property. Have a home improvement project and need a quality professional? Quotatis will help you find the best business in Bradford and nationally, so you get the best possible value for money. Simply search for your project and request up to 4 quotes.